JOB DESCRIPTION: Robotics Engineers are responsible for designing, building and testing robots. 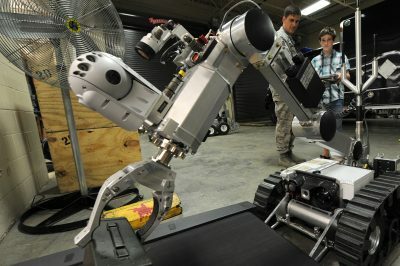 Robots are machines with some degree of artificial intelligence, and can be made to perform automatically jobs that are repetitive or too difficult for humans to complete. Robots can be found in industries such as motor cars, aerospace (planes or drones), and agriculture (farming).